Free and easy forum creation. Forumotion.com is a professional, easy-to-use and, best of all, free forum solution. It's the perfect platform to set up your own forum and build an online community of members. Forumotion is a large forum creation provider. 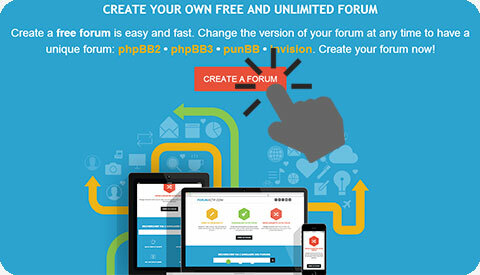 It's easy to start your own forum thanks to our free forum creation solution. The process is accessible to all internet users who want to have an online discussion forum. 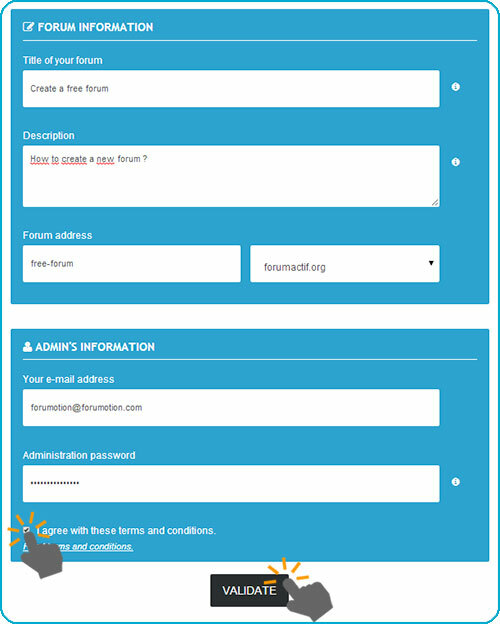 Test the free forum creation on Forumotion: an online forum creator! Want to run your own free forum but don’t know where to start? With Forumotion.com, forum creation is effortless and easy. By following simple step-by-step instructions, you can set up your forum in a matter of minutes! Then, through your control panel, organize and create forum categories and customize your design. So why wait any longer? Take the plunge and start connecting with people from all walks of life! Discover the different steps to launch your own forum in this tutorial. The process is simple! Let's review how to make a forum. First, go to Forumotion.com and look for a “Create forum” tab or link. the links to create a forum are really easy to find on Forumotion. Click on it to start the forum creation. Click on “Forum create”. 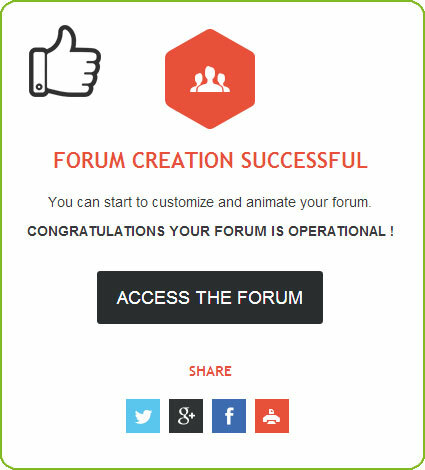 You will then be directed to the following page: forum creation step 1 ! Simply choose a style you like, or think that would fit well into the context of your forum. Don’t worry; you can always change it afterwards in the administration panel of your forum. Once you have selected, click on “Forum create” / "Continue" at the bottom of the page. You can change your forum version or forum skin at any moment. Once you have filled out the form, please read Forumotion’s terms of service. 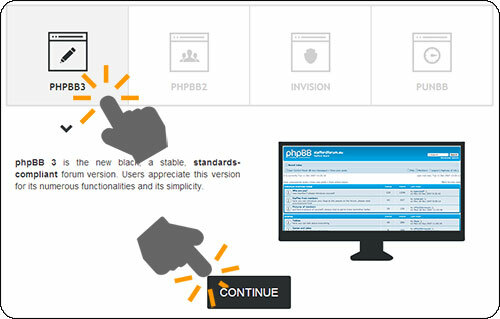 You must check the corresponding box to proceed and for the success of the forum creation. Click on “Forum create” to continue. Re-enter your password for confirmation, then click on “forum create”. Creating a simple threaded discussion forum. Create forum categories and sub-forums to propose a readable hierarchy and navigation. Add a few messages to set the tone of the discussion. 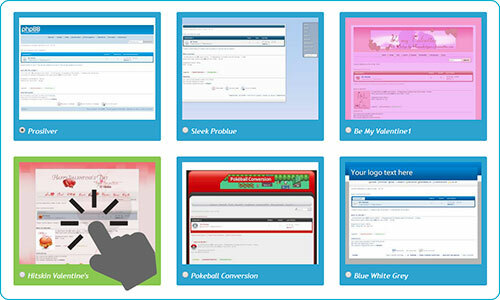 Create free forum icons, images and choose a color scheme to personalize the appearance of your forum. Invite your friends to post messages. Reference your forum on other sites, forums and search engines. Still stumped? Try clicking on the « Help » button or simply contact our tech support team for further assistance. This site is here to help you create a forum, easily and professionally. Never has creating an online discussion been so fast and simple.